4K imagery has become the quality standard for many broadcast applications. A key requirement is that the transmission links be of sufficient bandwidth. 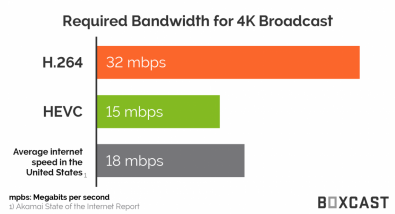 Links using H.264 can be overwhelmed by the much higher bandwidth requirements of 4K video. HEVC is often the better solution. How does it work and what are some benefits? Five years ago, you’d have to take out a second mortgage to get your hands on a 4K camera. Today, your iPhone is a 4K camera. The change has been dramatic. 4K is no longer a topic of debate; the industry has clearly arrived. And, with the early positive reports of the high quality 4K images produced by the new Apple iPhone X, broadcasters and content producers should expect to see these new cameras in many professional applications. Now the question becomes how to best transport those images back to the studio. In many ways, 4K is now feasible because of impressive developments in video compression. H.264 (also called AVC), an industry standard for video compression that allows for the recording, compression, and distribution of digital video content, served us well for many years. But things are changing – and fast. Advancements in video compression have given rise to H.265 (HEVC) and paved the way for video quality we have yet to see. The bottom line benefit of HEVC encoding is this: significant image quality at considerably lower bitrates. And for live streamers, this is an important development. H.264 and HEVC: What’s the Difference? 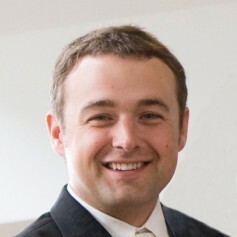 H.264 works by processing frames of video using a block-oriented, motion-compensation-based video compression standard. Those units are called macroblocks. Macroblocks (see image below) typically consist of 16x16 pixel samples, that can be subdivided into transform blocks, and may be further subdivided into what are known as prediction blocks. While that may sound confusing, here’s what you need to know: the H.264 algorithm can substantially lower bit rates better than previous standards and is widely used by streaming internet sources, such as videos from Vimeo, YouTube, iTunes, and more. H.265 is more advanced than H.264 in several ways. The main difference is that HEVC allows for further reduced file size, and therefore reduced required bandwidth, of your live video streams. 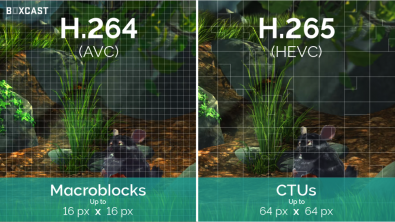 Unlike H.264 macroblocks, H.265 processes information in what’s called Coding Tree Units (CTUs). Whereas macroblocks can span 4x4 to 16x16 block sizes, CTUs can process as many as 64x64 blocks, giving it the ability to compress information more efficiently. Regardless of your proficiency in live streamed productions, it’s clear that live streaming is here to stay and that the industry is marching forward toward high bitrate, high image quality formats. As you prepare for the onslaught of live streaming demands, and for the even greater technical challenges of 4K live streaming, invest in platforms that can deliver ultra-high quality 4K live streams with a level of simplicity, reliability and technical sophistication to support your productions. Ideally, these platforms can encode up to 4K60HDR video in HEVC and allowing users to stream events live without requiring large amounts of network bandwidth will ensure successful events. Though not everyone will require 4K live streaming out of the gate, it’s important to consider whether the platforms in which you invest today will support you tomorrow.